Name one of the great leaders of the 20th century. Better yet, compile a list of great leaders in history, and more often than not, John Wooden would be included. Everyone who follows basketball is familiar with the famous UCLA teams of the 1960s and 1970s. Wooden was a winner of ten NCAA national championships, including seven in a row at one point. He was a three time All-American as a player for Purdue University, and has reached the NCAA Hall of Fame as both a player and as a coach. John Wooden was a tremendous player, and an absolute legend as a coach. The statistics all speak volumes for his talents in and around the game of basketball. Outside the game of basketball, his leadership impact reaches far and wide. Many people, with little interest in basketball, know of Mr. Wooden and his leadership principles. The Pyramid of Success works for any team on a basketball court of field, but can also be applied for team in a business. His principles far exceed winning in sports, but can be used as the basis for high impact, winning teams in organizations. There are many books about John Wooden and his life, and Wooden himself penned many books about his philosophy in life, thoughts on character, and how to build winning teams. The Essential Wooden: A Lifetime of Lessons on Leaders and Leadership is a quick focus on basic leadership tenants. It is a short read, and broken down into short sections centered on his basic principles. Broken down into four sections, Wooden relies on his experiences through his life that defined his style and motivation. I would describe this book as a portable John Wooden guide. This is not intended to be an in-depth study of his leadership. This book is designed as an oft-referenced book that scratches the surface of all his concepts, including the Pyramid of Success. Those expecting to find the all-encompassing John Wooden leadership guide will probably find it lacking in content and material. However, this book provides quality information that helps build the foundation for leadership based on character and principles. For anyone who reads this book, and learns some of this wisdom will be better for it. His legacy will remain and his impact will always find a new audience. The timelessness of his lessons will always be relevant. 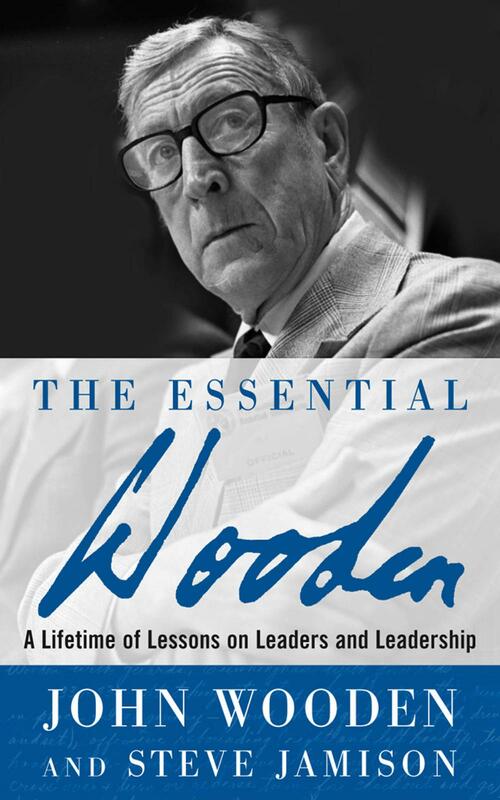 Anyone wanting to learn about John Wooden, this book would be a good place to begin. Spend a good weekend with John Wooden, and you’ll be better off because of it. I highly recommend it.